It would be unfair to claim that all German cinemas are in a poor state, as the country has some of Europe’s finest examples of what is possible within a multiplex (Exhibit A: our Cinema of the Month, Nurenberg’s Cinnecitta) or how to make old cinemas attractive in this day (Exhibit B: Cinema of the Month, Kino International in Berlin). But all too often a visit to a German multiplex is a trip in time back to the 1990s. Even newly built multiplexes or ones considered the best of their kind too often underwhelm when we visit. 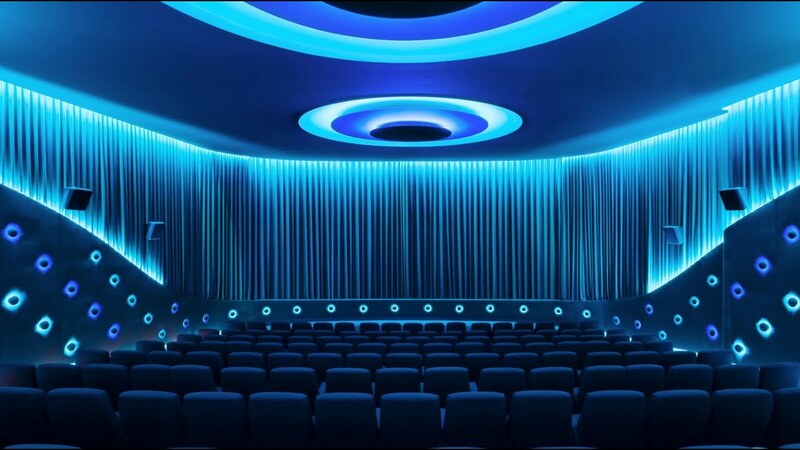 Odeon is belatedly addressing this with their UCI upgrades and new builds (we’ve not visited the UCI Luxe Berlin Mercedes Platz one), while Vue will hopefully use the merger of CineStar and Cinemaxx as an opportunity to bring the look and feel of both circuits up-to-date. 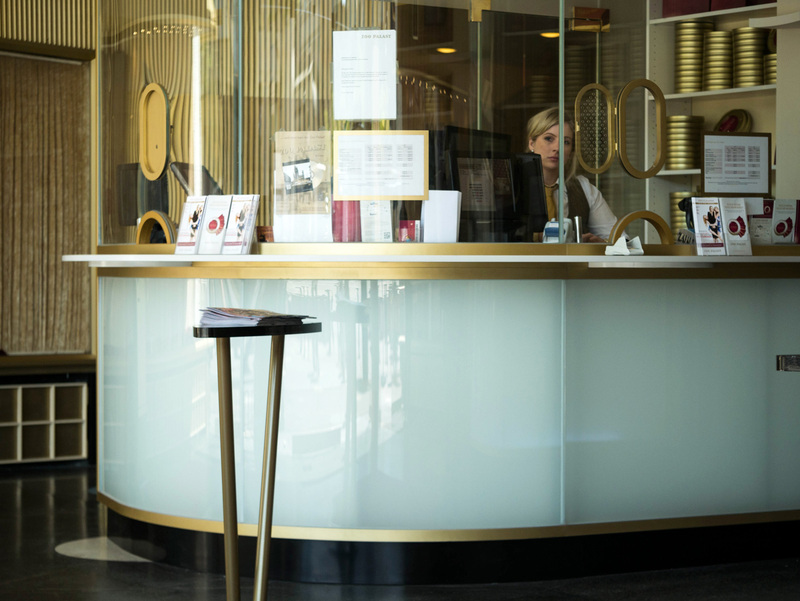 There is, however, a small cinema operator, who operates a tiny network of highly regarded cinemas all across Germany, whose flagship site is in Berlin. 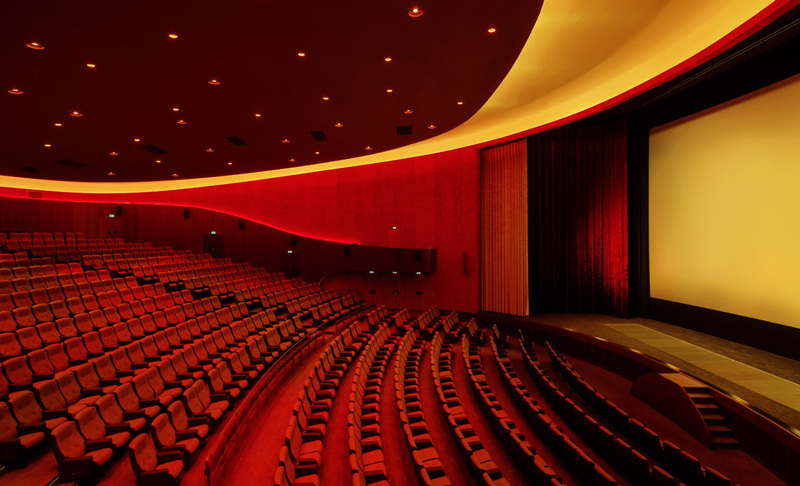 It was once the home to the Berlinale itself, when West Berlin was still walled off. 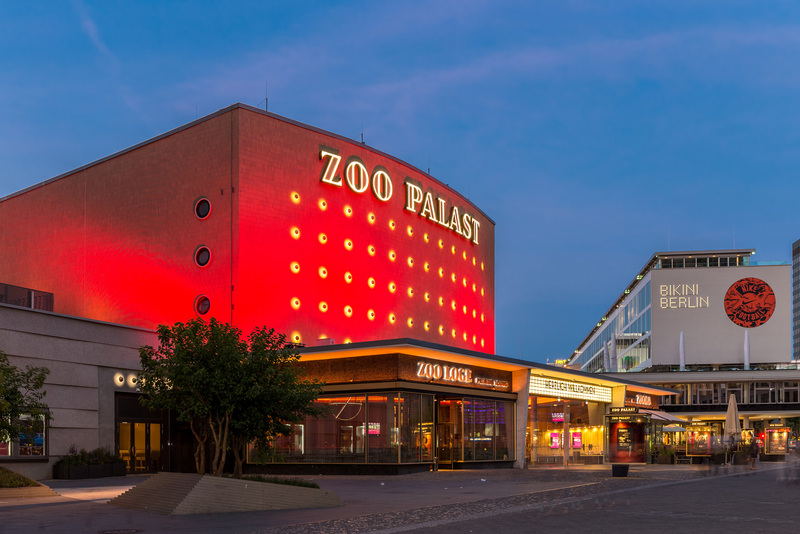 While the festival’s centre of gravity might have shifted to Potsdamer Platz, Zoo Palast Kino holds the distinction of being the grandest screen and biggest regular cinema experience that Berlin has to offer. 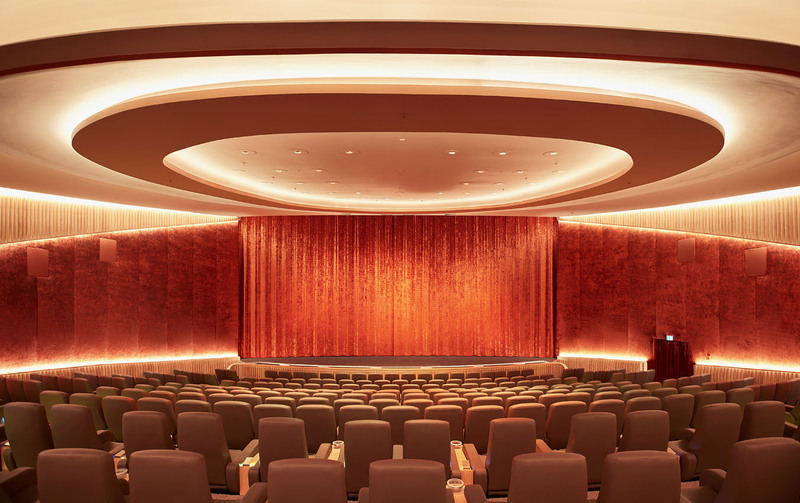 This is a cinema that knows how to bring glamour and excitement to the big screen for the 355 days of the year when the Berlinale is not playing. 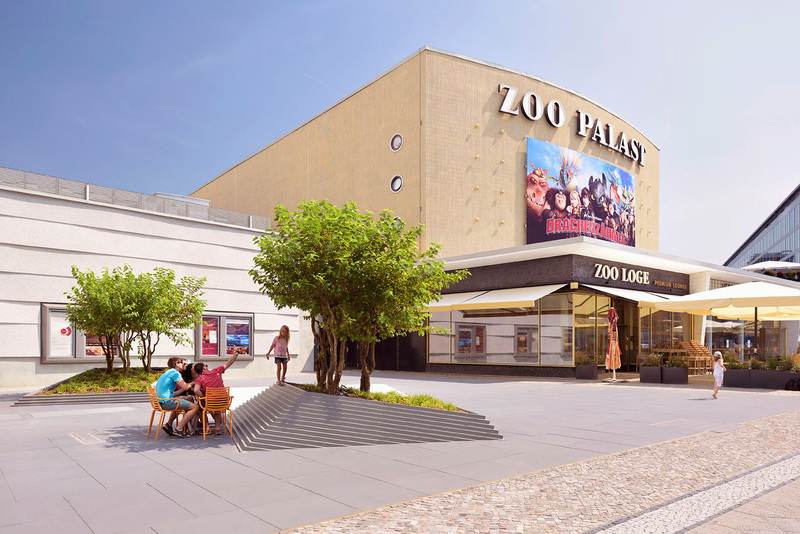 Arriving at Zoo Palast Kino today one could easily forget that this was once one of the seediest parts of West Berlin, as captured in the film “Wir Kinder vom Bahnhof Zoo” about the teenage junkies and prostitutes living around Zoo Station (named after the nearby Zoo park). Today construction cranes have taken turns transforming each block, with the Bikini concept Mall, flanking the cinema, while opposite the hotels are both posh (Waldorf Astoria) and hip (the movie-themed Motel One). There is the photography and Helmut Newton galleries nearby, while KaDeWe (Europe’s largest department store) and the Apple Store are just two of the pricier shops on bustling Kurfurstendamm shopping street. Only the Gedachtnis Church with its broken top is a reminder of tragedies past (World War II) and recent (the Christmas market terror attack). Dotted between them are countless restaurants, bars, cafes and other reminders that while Berlin is still poor in relative terms for Germany, it is the capital of the richest and most populous country in the EU. But it was here that the big films opened and gala screening held even during the darkest days of the Cold War. The cinema opened in 1915 and between 1957 and 1999 it was the official home of the Berlin Film Festival. 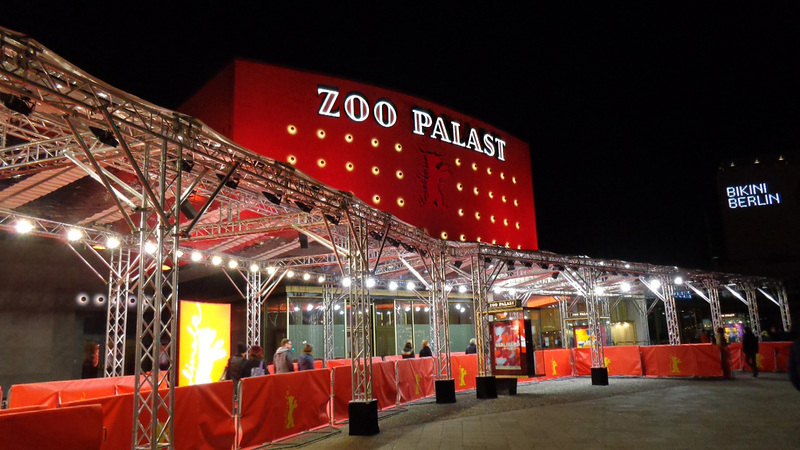 Despite ‘losing’ the Berlinale to Potsdamer Platz – home to a CineStar, Cinemaxx and the Potsdamer Theatre that screen the competition titles while being home to stage shows for the rest of the year – Zoopalast did not give up the fight. Berlinale attendance may have dropped, but this was a catalyst for investing a lot of money to make the cinema attractive. Zoopalast is very much a parable for the changes needed in German exhibition. If at first you don’t succeed, try again and make sure East Germany’s secret police Stasi don’t catch you at it. That was the plot of the German film “Ballon” about the true life escape in a hot air balloon by a family from East Germany to the West that StudioCanal brought to the screen last year. Never having seen the film of the story that Disney had produced in 1982 called “Night Crossing”, I was keen to catch it on the big screen and a friend suggested we catch it in Zoo Palast. I had visited it before as part of the SAWA conference (a photo of the interior is on Celluloid Junkie’s Facebook cover), but never paid and sat through an entire film. 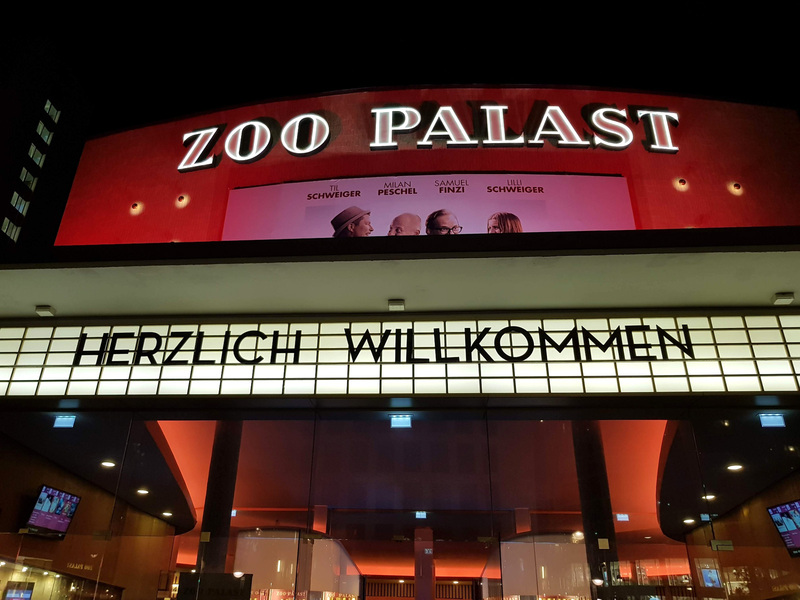 While “Ballon” was one of 2018’s not-quite-blockbusters it was plenty busy on the night in Zoo Palast. The outside of the cinema invites attention with its proud stand-alone height, its name in lights and a large hand painted (!) poster of the film playing. 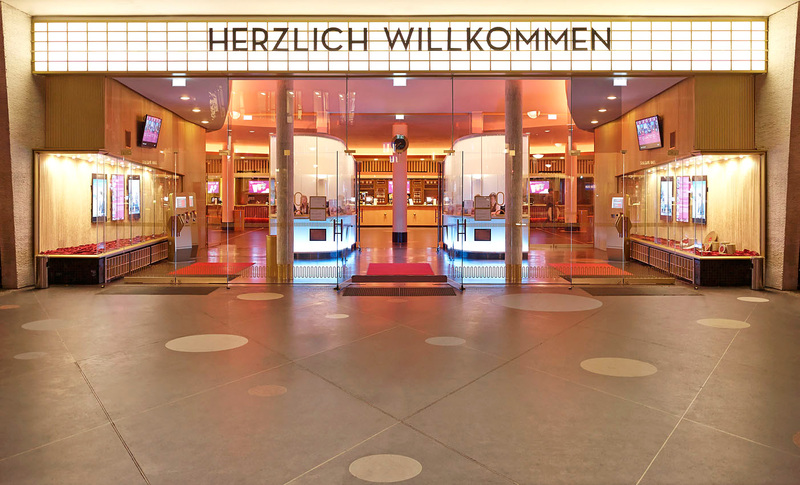 The sign greeting visitors “Herzlich Willkommen” (Hearty welcome) feels genuinely meant. Smaller glass boxes on the street display posters for other films. There are small old-fashioned box office booths right at the entrance, but with a modern slick white wrap-around that make them look more like an Apple iBox than ye-olde-ticket-stub-vendor. Moving past these you enter the large atrium that can easily hold a few hundred people without feeling cramped. Throughout the building there are pools of lights in different colours that paint the space in a timeless and luxurious palette. 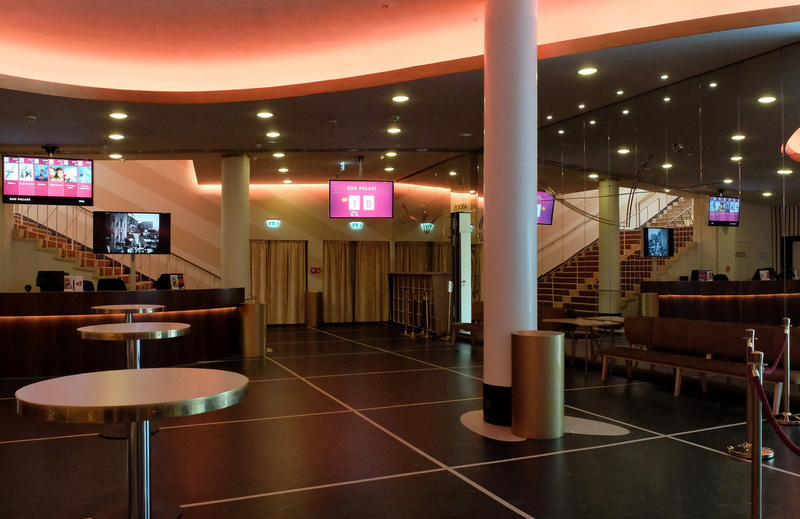 Zoo Palast has not succumbed to the slick dark man-cave aesthetic that characterises many new multiplexes, or the we-might-be-new-but-we-are-still-normal chumminess of Yorck’s nearby Delphi Lux. It’s closest spiritual country kin is probably the Cinecitta, but it still has very much its own sophisticated vibe. We line up for the popcorn at the long bar at the back, taking time to admire the staff’s smart uniform – something too often overlooked, even in upmarket cinemas. 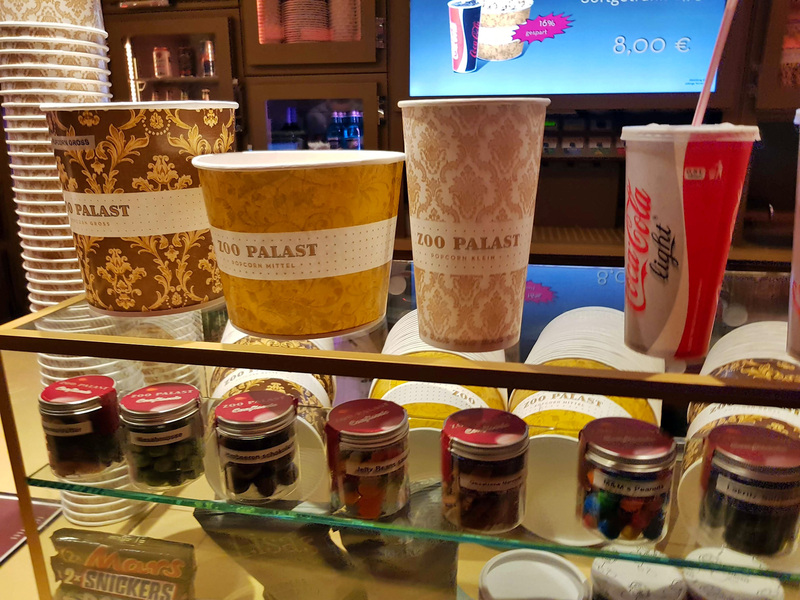 The snack selection might not be breaking new ground (Germans are conservative when it comes to their cinema food and beverage), but the portions are good and prices reasonable. Despite the waiting, the young woman serving was friendly and efficient without stressing, though she wanted to know upfront whether payment would be cash or credit card. Germany is probably the last country in Europe that will go cashless. 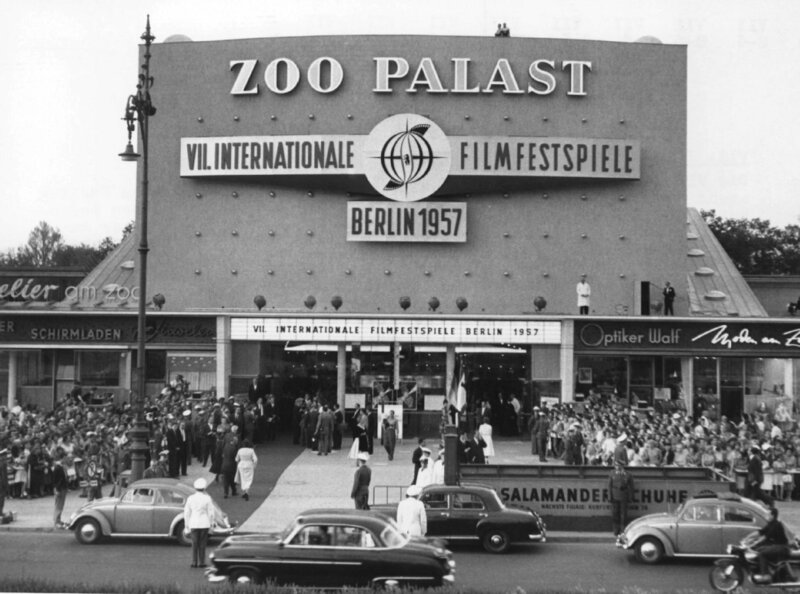 Zoo Palast played host to the premiers of famous films like Fritz Lang’s “Metropolis” between the wars and it is no surprise that Albert Speer had plans to rebuild it as part of the Nazi’s grand vision for the German capital. Instead the cinema was destroyed in a bomb raid in 1943 and was torn down in 1955. 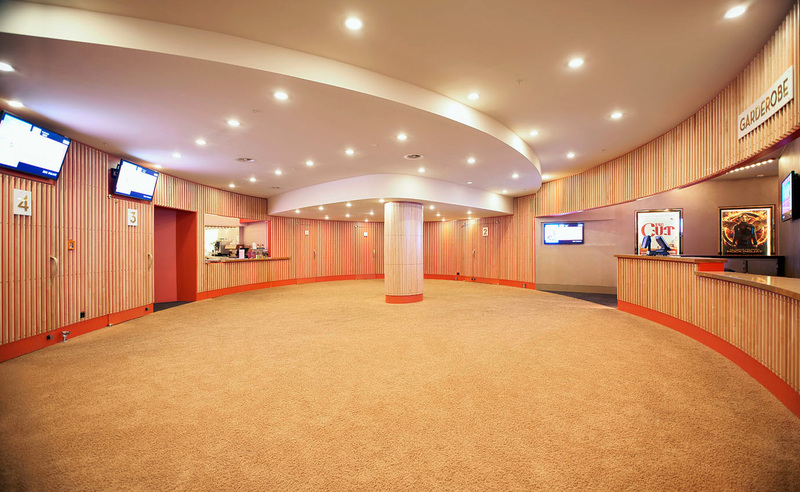 It was re-built in 1956/57 as a two-screen cinema with 1,070 and 550 seats. Following refurbishments in the 1970s and 1980s it ended up as a nine-screen cinema with a total of 2,758 seats, though remarkably the two original screens kept their seat-count, rather than being sub-divided. Ownership changed from Ufa to Max Knapp to Hans-Joachim Flebbe and finally UCI Kinowelt, which operated it between 1994 until 2011. 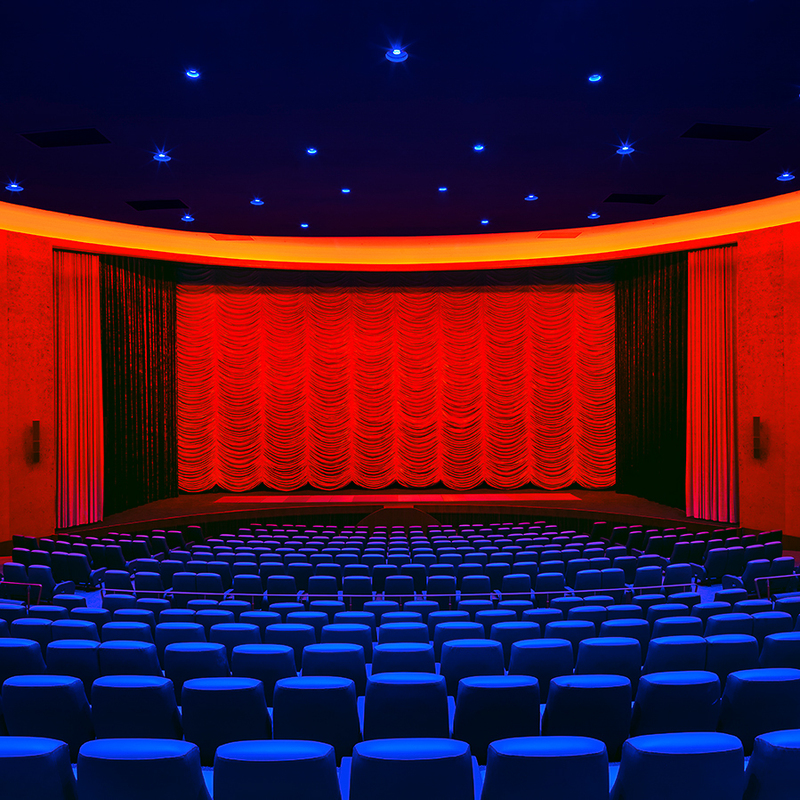 The cinema closed 29 December 2010 and did not re-open until 27 November 2013 after extensive refurbishment and shrinking to 1,700 seats, but once again owned by Hans-Joachim Flebbe’s company Premium Entertainment GmbH. “We were dealing with a lot of work, but I believe it was well worth it,” Flebbe told Film Journal on the occasion of its re-opening. 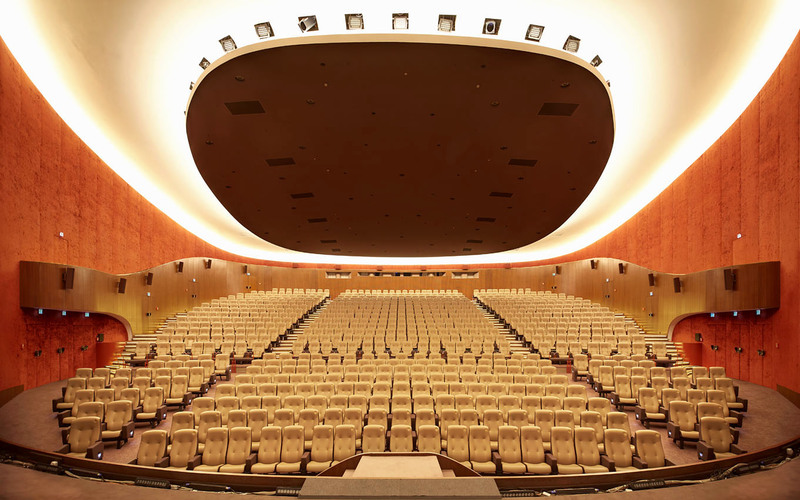 As well as renovating the building, the main auditorium was equipped with 78 speakers (155,000 total watts) for Dolby Atmos Dolby (and 7.1 for all the other screens), as well as “a crazy amount of money” on acoustic treatments. There is 4K projection from Christie, as well as the ability to screen films in 35mm and 70mm. 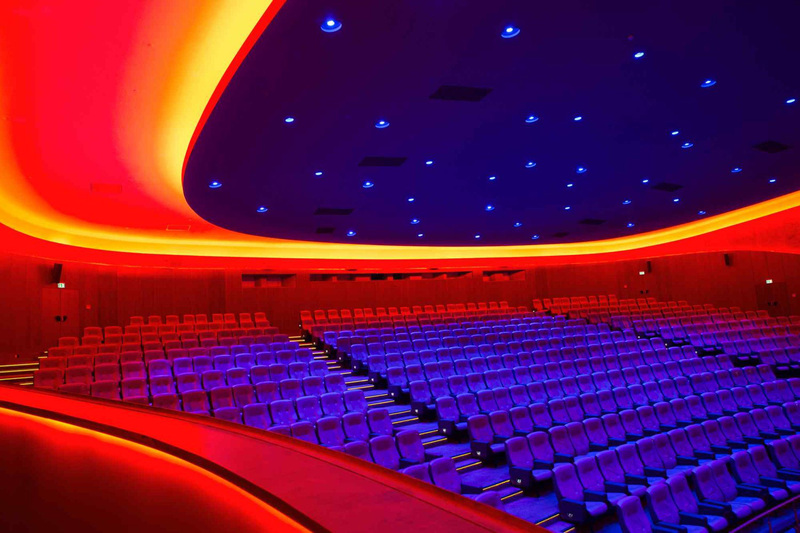 There is LED lighting in all the auditoriums and of course the seats were upgraded (Skeie from Sandnes, Norway). 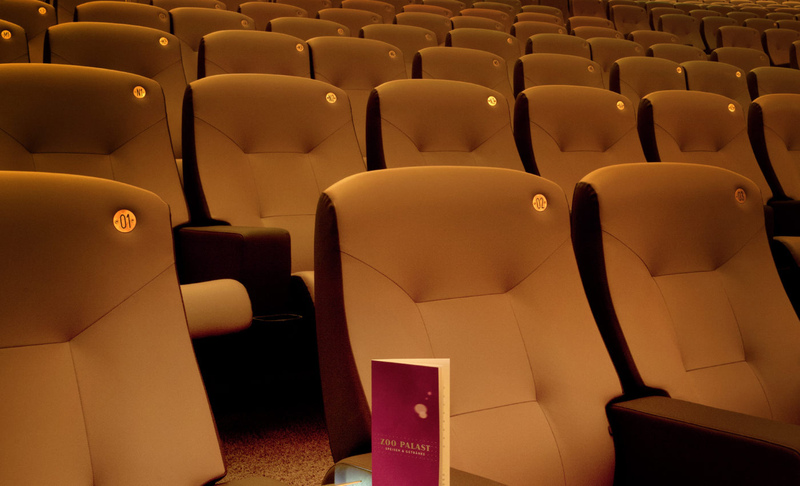 The two small ‘Club Kinos’ (26 and 39 seats each) were turned into event spaces for private screenings. As one of those ‘older’ guests I for one was happy entering the breathtaking main auditorium. Only Oslo’s recently refurbished Colloseum gives the same type of immediate ‘Wow’ experience upon entering such a large space brought so well up to date. We made our way to our seats and immediately realised our first mistake. Having brought the popcorn and drinks with us, we neglected the opportunity to try out the table service in the main hall. Staff effortlessly made their way in and out between the rows (thanks to a generous 130cm 51 inch spacing) and to the seats to bring the snacks, drinks and pre-ordered finger foods. Rather than hot food, the cinema offers up-market cold cuts and plates of nibbles that befits a place with such an extensive selection of wines and cocktails. This is a high-end F&B experience on a grand scale. How do they do it? 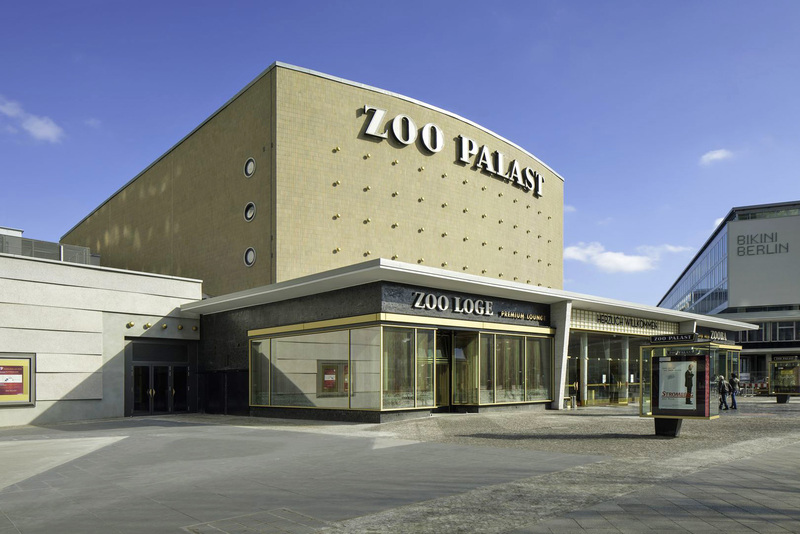 Zoo Palast claims to have twice the number of staff that an equivalent cinema of its size would have, not just to serve, but also to clean between the shows. When the show started, it does so not just with pre-show advertising. 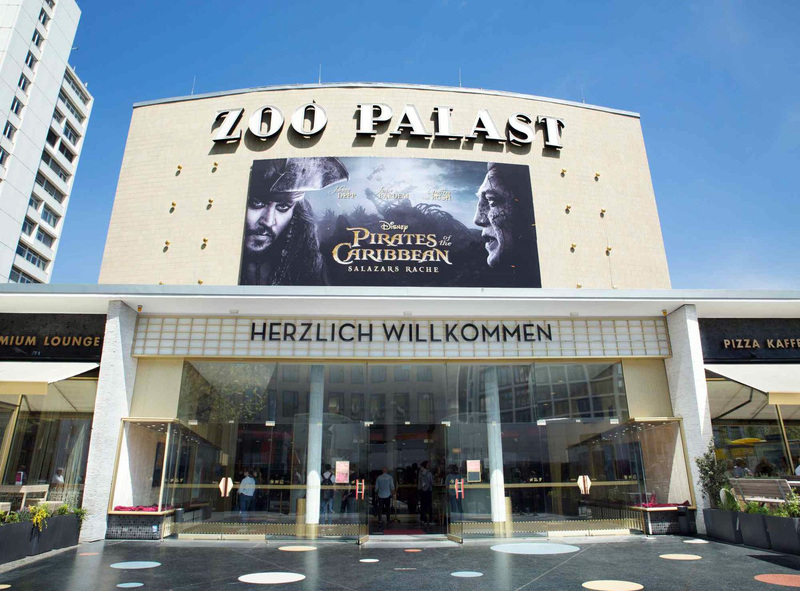 Zoo Palast has a custom-made sound and light show that demonstrates Dolby Atmos to its best, whizzing through cinema history with snippets of dialogue and music from classics and blockbusters. It is a great showcase and also a reminder of the power of cinema. It ends with an actual rainfall in front of the stage. No, not a projection of rainfall with sound effects, but actual water. Gallons and gallons of it. Sadly this time there was not a live show to go with it (there is also a James Bond version, sans water), but as I had witnessed some years earlier, if you are lucky a man with an umbrella will come out and perform the full “Singin’ In The Rain” dance routine under endless amounts of real water. For anyone impressed by water spraying in your face or your seats shaking, nothing I have experienced in a cinema has astonished me as much as this. 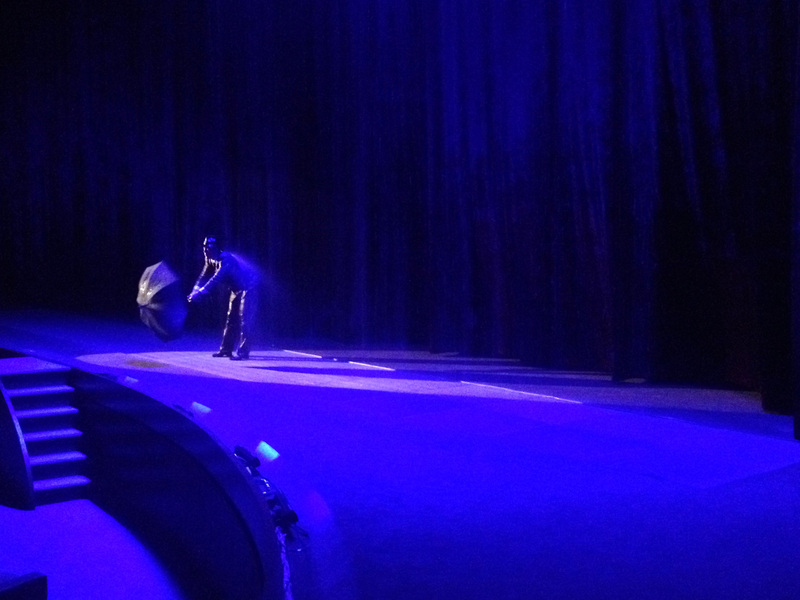 I’m sure it is not a usual occurrence at Zoo Palast, rather than the dancer having caught a cold from all that water. With that the film began and as expected, both the image and audio was as good as one could have expected. A colleague told me that he only comes to Berlin to watch films during the Film Festival, because he knows that every single cinema showing films will be tuned to absolute perfection. 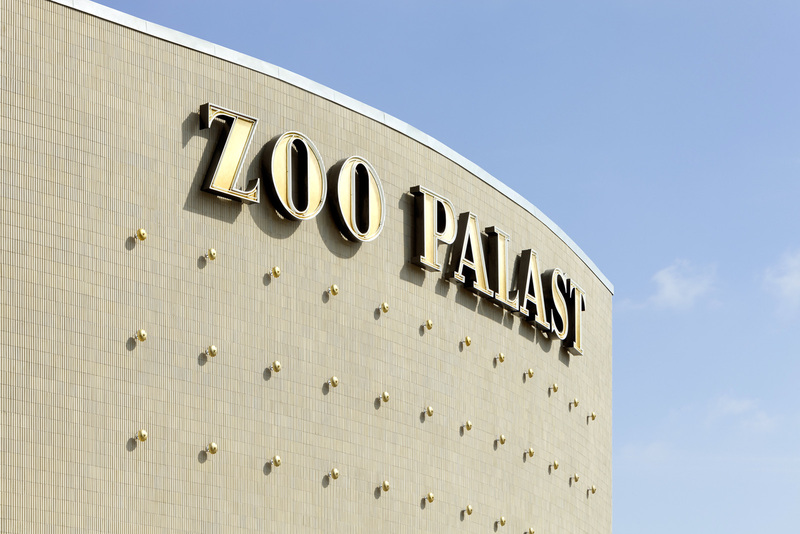 But it would seem that the Zoo Palast maintain just as high standard in the weeks and months in-between. 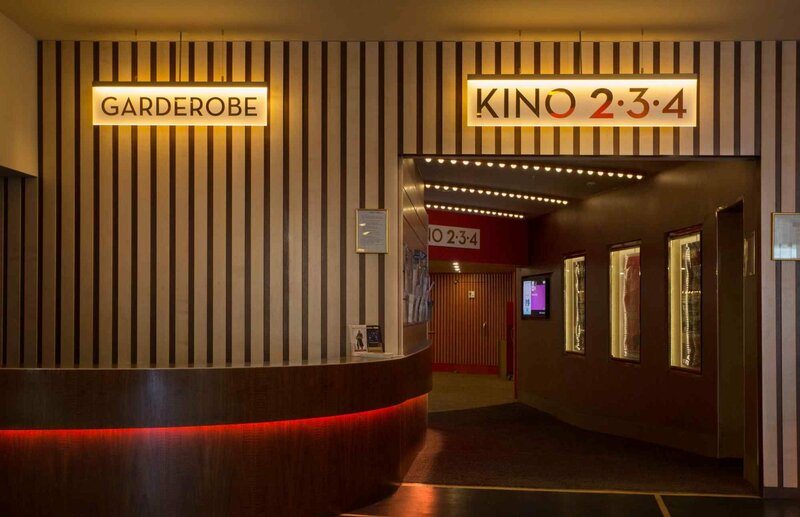 And it is not the only cinema of its kind in Germany to do this. 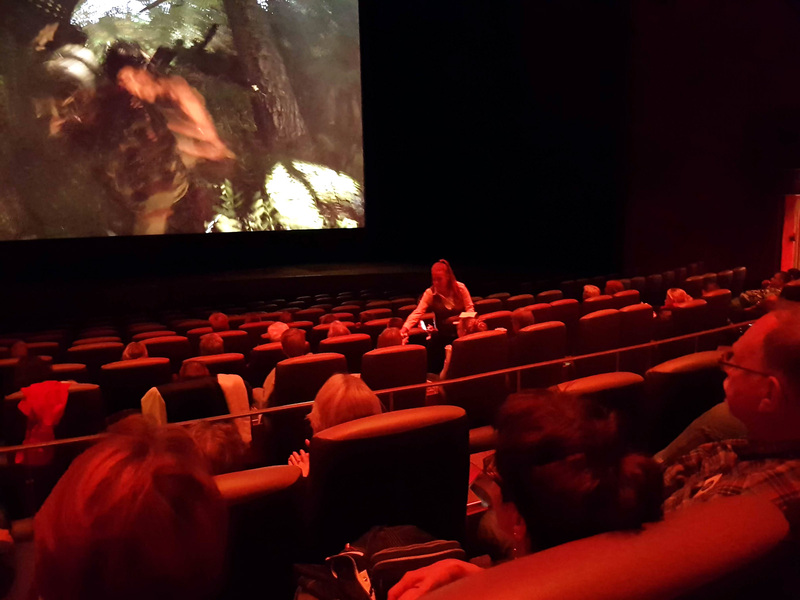 Exit the Zoo Palast and cross over Ku’dam and you find yourself in Astor Film Lounge. This cozy little Gatsby-like cinema is no less appealing on a smaller scale than the much, much larger Zoo Palast. This is not surprising because they are both part of Flebbe’s new empire. The man who brought multiplexes to the German masses with CinemaxX (since sold to Vue) is determined to re-invent ‘Kinokultur’ once again in with high-end offerings. 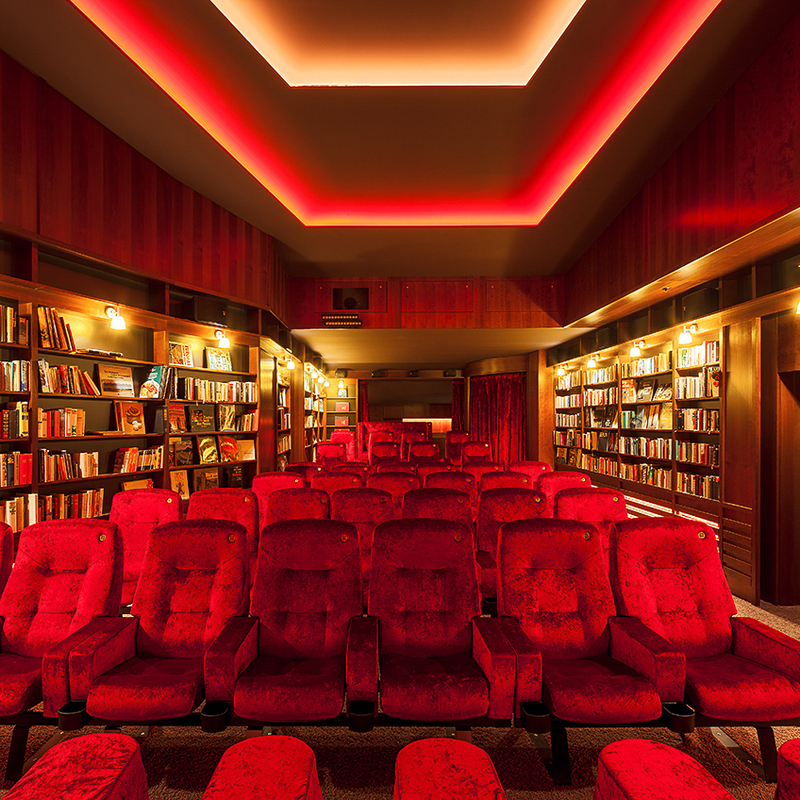 While Zoo Palast is unique and one-of-a-kind, Flebbe’s Astor Film Lounges are slowly spreading across Germany, one major city at a time. It might seem mad to spend this kind of money on a market where cinema-going is predicted to continue declining for a decade. 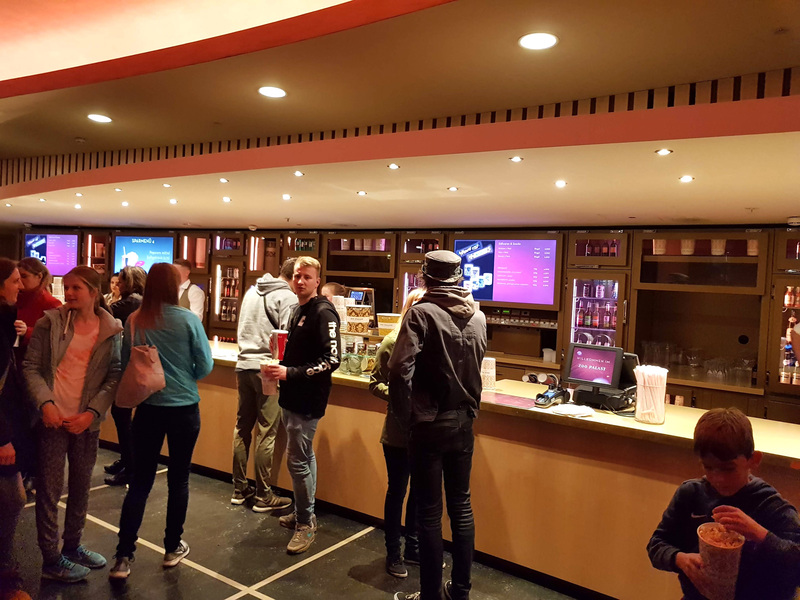 But Flebbe believes that investing in creating an offering that is different from the popcorn-and-nachos type of multiplexes will attract an audience prepared to pay a premium. While this concept has been validated in the United Kingdom (Everyman et al) and United States (Alamo Drafthouse and the like), there is still scepticism about it in Germany. 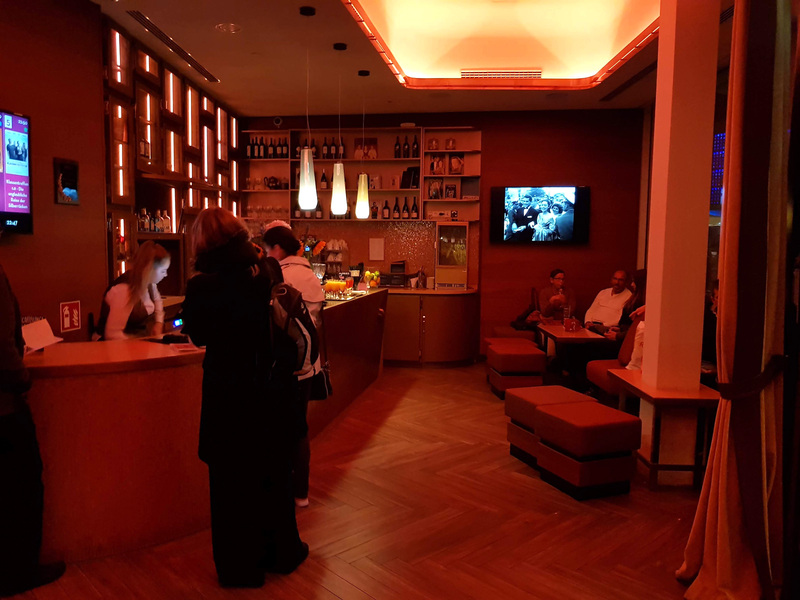 There are two Astor Film Lounges in Munich: the Astor@Cinema Lounge at Hotel Bayerischer Hof and the Astor Film Lounge Im Arri in what was formerly the cinema used by film equipment specialists Arri. In Cologne there is the Residenz – Eine Astor Film Lounge. 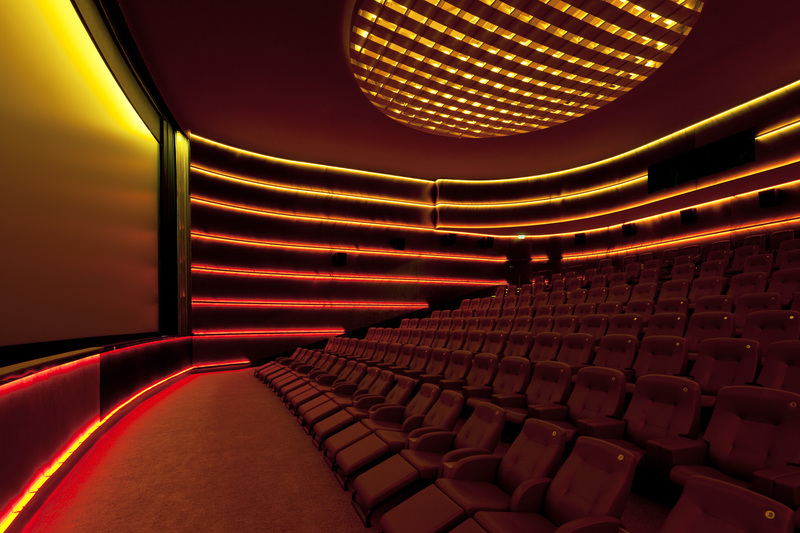 But perhaps most importantly is the 430-seat Astor Film Lounge Hafencity in Hamburg’s newly developed harbour district. 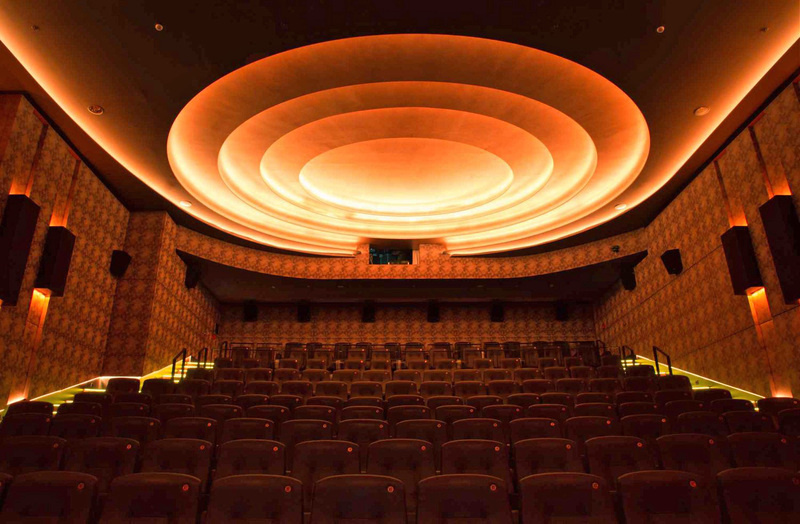 It has already proved a great hit, with its free parking, doorman greeter, free cloakroom and Dolby Atmos in both of its main screens. No less care has gone into it than the nearby Elbephilharmonie, with the halls acoustically shielded with 1.5 m thick walls and spring-loaded. Flebbe is said to have been planning it for 10 years. Today his luxury shines with 6,000 discreet LED spot lights. 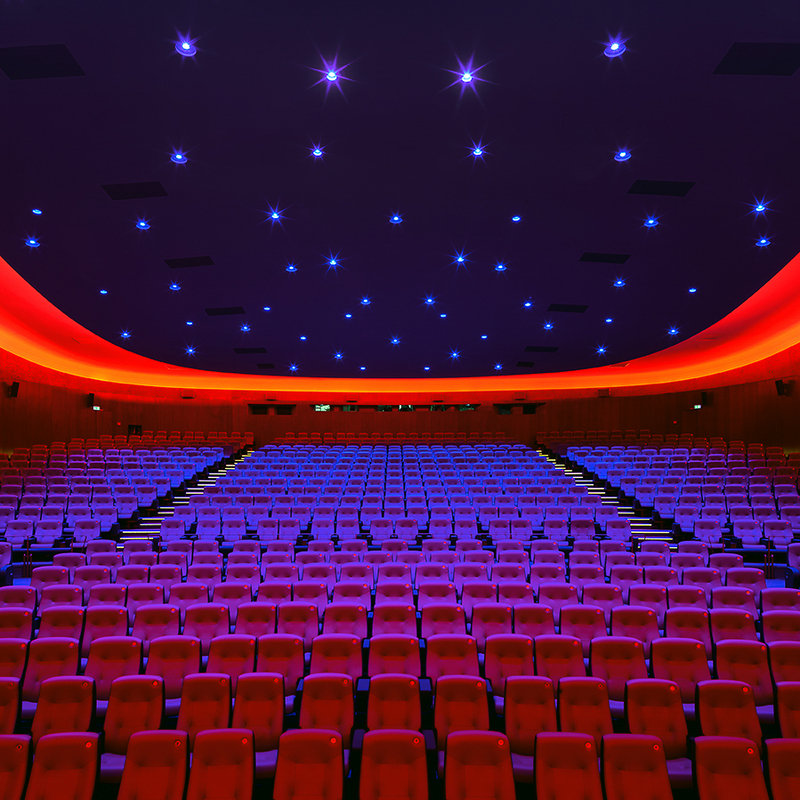 Next up Astor will open a Filmlounge in the financial capital Frankfurt in the summer of 2019. No doubt there will be others to come after that. After the film had ended we were not quite ready to say goodbye to the Zoo Palast, despite the many nightlife attractions nearby. Instead we made our way to one of the two bars at the cinema, converted from former retail spaces at the front. 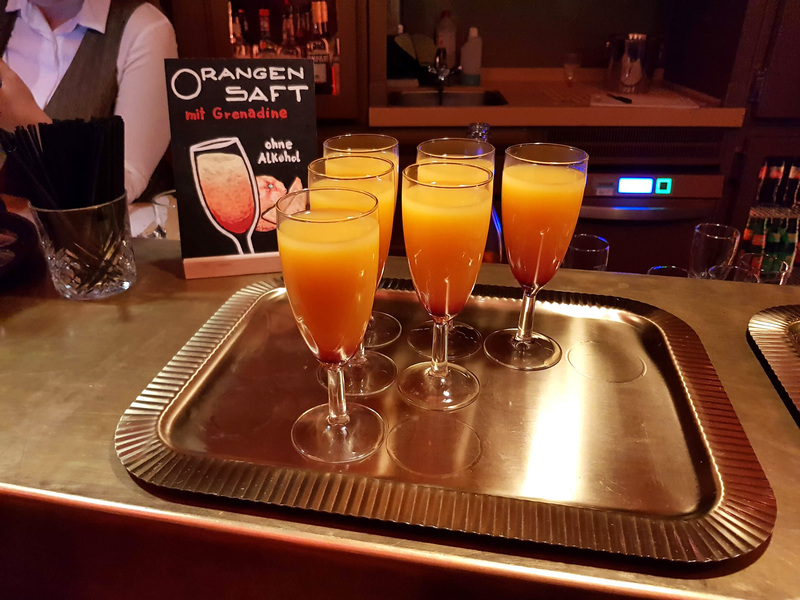 The “Zoo Lodge” (Zoo Loge in German) is a dedicated space for premium ticket holders where they are greeted with a complimentary drink and they can wait before the start of a film. Regular ticket holders can also visit and buy a drink. The other Zooba serves regular drinks and cocktails in the evening, while offering coffee and snacks such as fancy focaccia bread during the day. There are no doubt plenty of patrons who come here for drinks and snacks, even if they are not planning to watch a film that evening. In warmer months you can even sit outside. 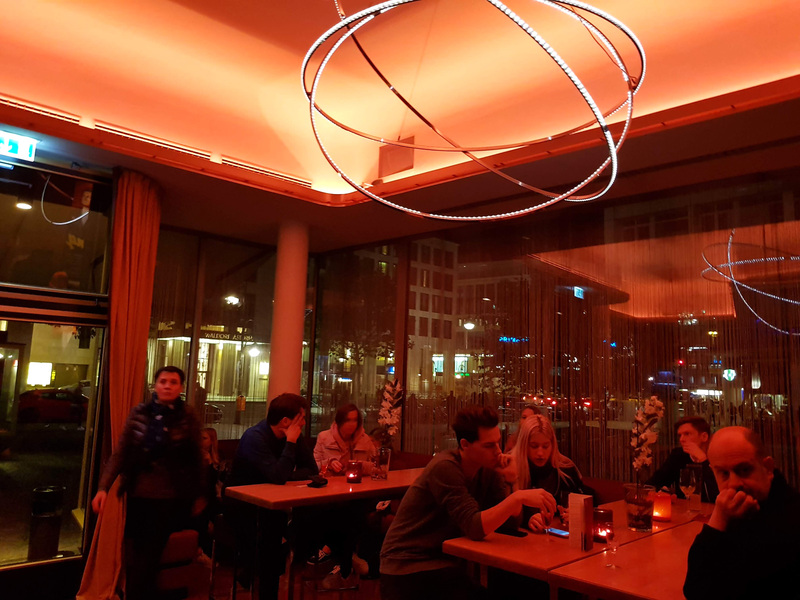 For now we were happy to sit inside, sip our cocktails under the gaze of Liselotte Pulver, the German actress from the post-war period of German cinema whose images adorn the bar – because it was she who inaugurated the re-opened Zoo Palast ahead of it once again becoming part of the Berlinale in 2014. Sitting in these amazing surroundings, it is hard not to think about the state of the industry and how other German cinemas compare. Not all historic cinemas can have as much money and attention lavished upon them as the magnificent Zoo Palast, nor can every small German town support an Astor Film Lounge. 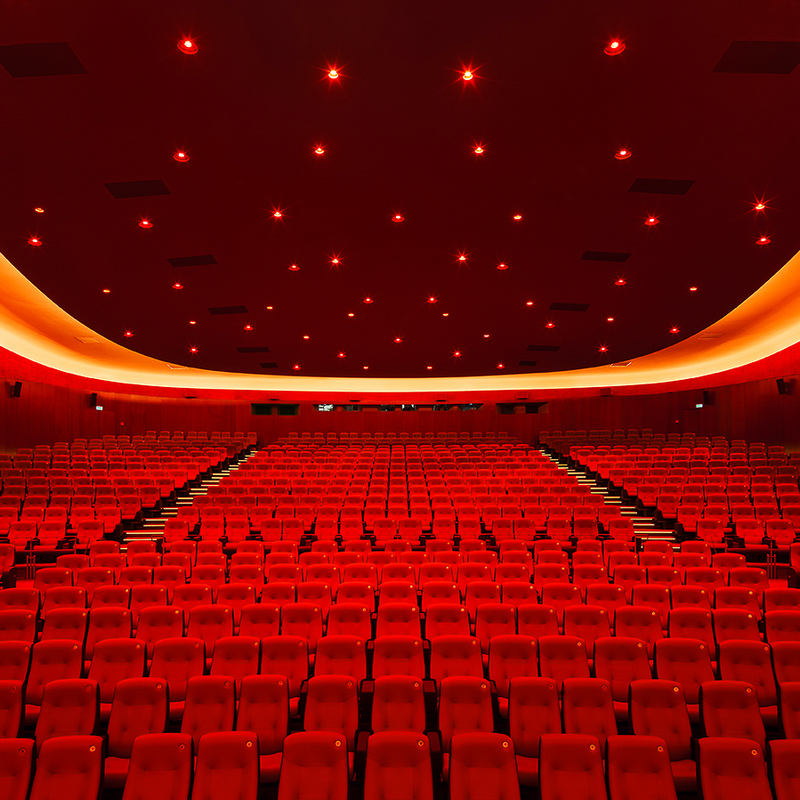 But these cinemas are a testament that cinema operators who invest in their German properties stand a better chance of bucking the downward trend that is plaguing the country’s industry as a whole. 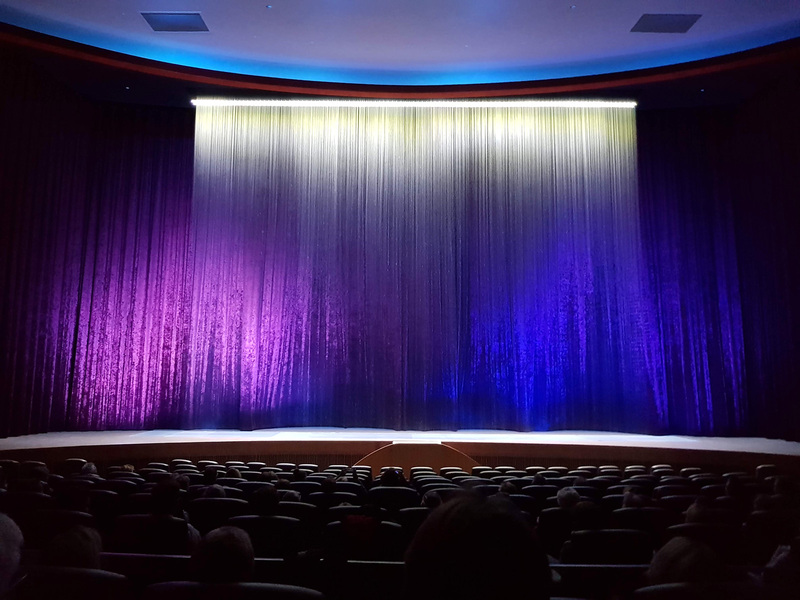 The likes of Cinecitta, Yorck, Flebbe and most recently also Odeon/UCI have shown the way in Germany, but the majority of large-to-small cinema operators have yet to follow their lead. They don’t need an auditorium capable of putting on “Singin in the Rain” to put a smile on customers face.